It is possible to officially be done working by age 55. You don’t have to work up into your 60’s and 70’s before you can enjoy the sweet benefits of retired living and financial freedom. The problem is that financial security after your career isn’t something that just simply happens. To make it work and really succeed, you need to have a game plan for how to retire at 55. 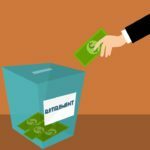 Even though it will involve a little bit of planning, wise decision-making, and capital to invest, I think you will find it much easier to accomplish retirement than you think. If you’re skeptical of my claim that you could easily retire by age 55, let’s first consider the reasons that most people don’t. The problem that most people encounter when it comes to retirement is that they never actually plan one out. These people experience financial instability all throughout their life and they lack the discipline or will to make a change. The other problem with early retirement by age 55 (or retirement in general) is that people often just don’t know what to do or are ignorant to the rules of the game. Perhaps they are good workers and okay with money, and they’ve never bothered to participate in their company’s 401k plan. Maybe they are under the false impression that Social Security will be enough for them to live on? Or perhaps they have just simply never really bothered to get to know the difference between an IRA and a 401k. The truth is that there could be any number of reasons why good people do not properly prepare. But thankfully if you follow the steps below, then this isn’t how it has to be for your for your situation. 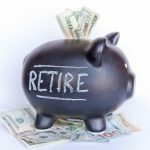 Figure out how much retirement income you will need. Typical financial planning suggests you will need about 80% of your current gross income. Even though that’s an okay rule to start with, you should spend a little time exploring how much money you think you’ll need during retirement. Do you plan to move? Relocate? Travel? There are many questions you need to ask yourself that will impact the level of finances you need to cover them. 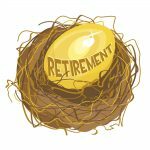 Once you have a monthly figure in mind, you can use some pretty simple steps to determine how large of a nest egg you’ll need to fully retire. 1) You can either use this to your advantage by keeping your contributions low. 2) You can maximize your savings and save the biggest nest egg possible. 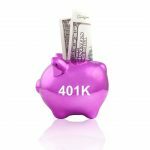 Get the 401k employer match. Don’t turn down free money! If your employer offers you a 401k match, grab it. 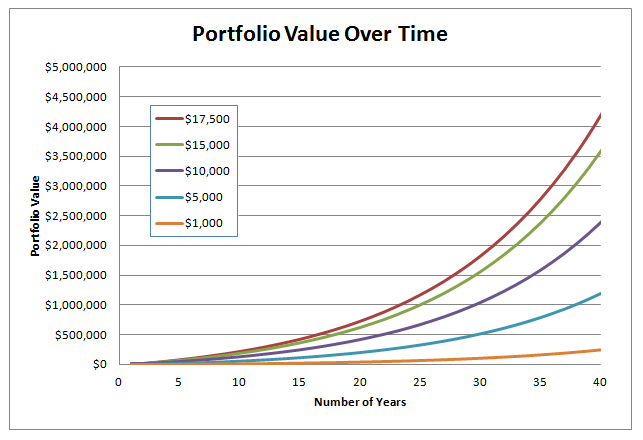 You get as much as a quarter of your contribution on top of what you plan to invest. 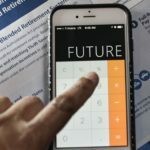 Again, that means you can either pace your savings (combining your savings with your employer’s) or really max out your nest egg by stuffing it as full as possible. Understand what your employer is offering. If you’re lucky enough to have a pension coming, make sure you understand it. 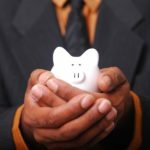 This could help reduce your target for how much money you need to save. Or it could possibly be money that goes on top! Don’t Touch It! 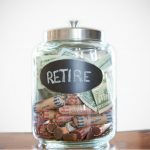 25 to 35 years of working and saving can be a long and tempting time. If you’re really going to execute your plan for how to retire at 55, pretend like your retirement savings don’t exist. Don’t give in and never borrow from your nest egg. Let it grow and serve its purpose of generating retirement income. Track Your Nest Egg. Knowledge is power. And when it comes to what’s going on with your retirement savings, you’re going to want all the power you can take! That means keeping an eye on your investments and making sure they are growing upwards towards the goals you’ve set for them. 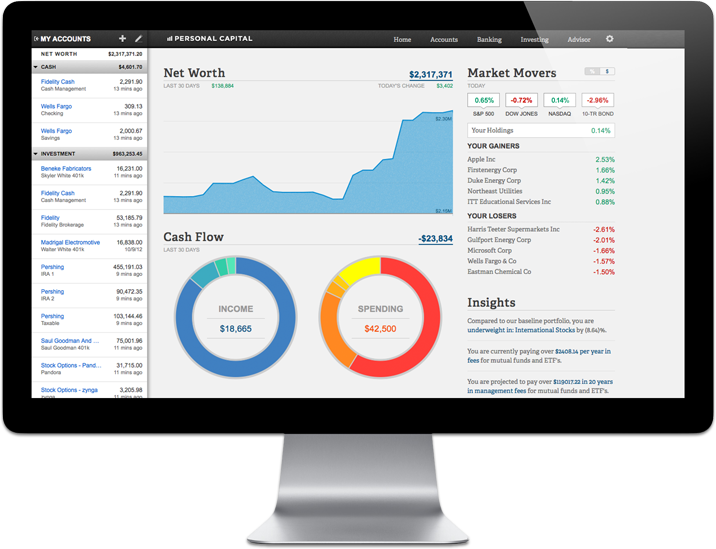 Fortunately this is very easy to do with a free account from Personal Capital. They make it very convenient to see and manage all your different retirement savings all from one place. Click on the image below to get started. For a free service, you can’t beat it! Age of Withdrawal. 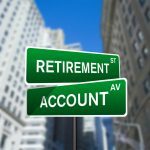 Technically you are not supposed to have access to your 401k until you reach age 59-1/2. If you do you will owe taxes and a 10% penalty. However you are allowed to bypass this penalty if you leave your job during or after the year you turn age 55 and not before. Unfortunately this rule does not extend to IRA’s. But that’s okay. You could file for a 72T to get access to a chunk of your savings. Health Insurance. One of the biggest things people don’t plan on or think about is how they will cover their health insurance costs. 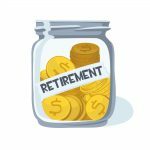 This can be a huge expense that you never had to pay before and could throw off your whole retirement savings model. Make sure you look into your options and understand just how much this is going to cost you. Knowing how to retire at age 55 is only half the battle. Your biggest hurdle is sticking to your plan and not giving up. Be sure you track your progress often and celebrate your victories so that you stay motivated to keep up with your plan. 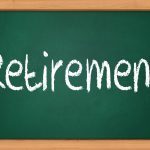 Forums such as EarlyRetirement.org could be a good place to find other like-minded individuals who are also trying to accomplish the same goals as you. 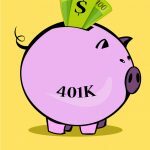 I am 58 and i am quiting my job and moveing to another state and want to use my 401k for a down payment on a house.. My employer says i cannot borrow from it and i have to wait a year before i get my money.. Why? I am willing to pay the penalty and i have been employed with them for 7 years.. Is my employer in contol of my money? Unfortunately, plan administrators can sometimes get in the way of us getting access to your money. I would advise speaking to a legal professional to see what your options are if you truly want to make a withdrawal.